I’ve been saying for YEARS that the reason I have all of these competitive friends and that I love playing board games with them because I don’t really care if I win or I lose. And then it all got questioned by my main squeeze. And you know what’s terrible? I realized something… he’s right. I really really like winning. And I maintain that I’m truly okay if I lose. But winning is way more fun. And I really adore playing games. Who knew? And what I really adore? 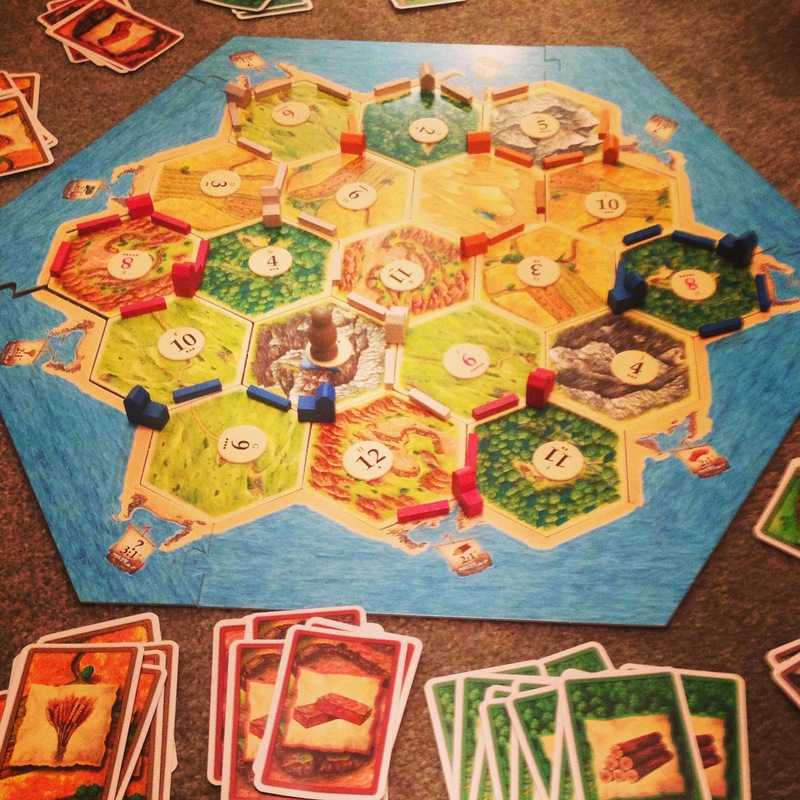 Settler’s of Catan. I think I would have laughed in the past about the strategy nerds that choose to spend their time playing this game. But now, I’m the nerd who is begging my friends to play this game with me. Because it is awesome. Seriously awesome. It’s strategy. It’s mind tricks. It’s mapping out a plan of attack and rolling with the punches when it doesn’t work out. So much. So I asked for it for my birthday. And I now own it. And it’s still in the box. But soon, I will have a game night. And we will break out that game. And I will make people play it with me for hours. And it will be great. So here’s to the nerds. To the board game lovers. To those that are a little bit competitive. Turns out, I’m in your crowd… and I’m LOVING it.